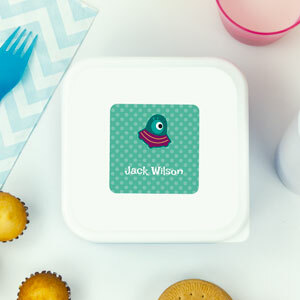 Use the Name Stickers to identify everything you can think of, such as Tupperware, pens, water bottles, shower products, books, toothbrushes... You can also create a personalized label with your logo or any image you wish. 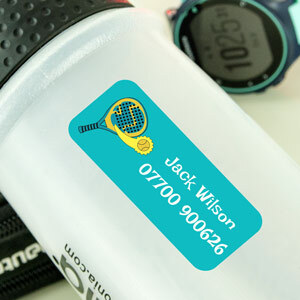 All of our labels are made with high-quality materials, designed for interior and exterior use, long-lasting, waterproof, dishwasher-safe and UV resistant. 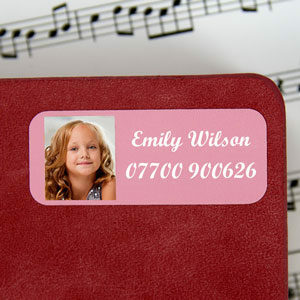 With Name Stickers you will not lose school material anymore. 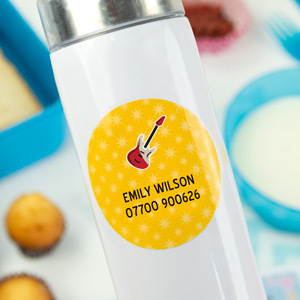 Now you can label all your school stuff ...and lots more. 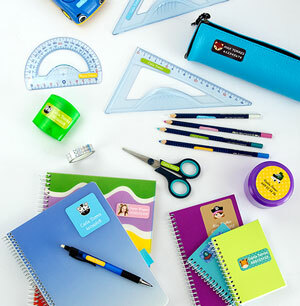 Identify the pencils, ballpoint pens, colouring pens, notepads, scissors, rulers, books, and all materials that are susceptible of being "accidentally misplaced". 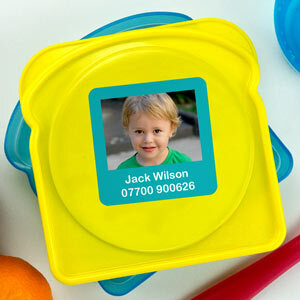 You can also label Tupperware, water bottles, shower gels, iPods, reading glasses cases, instruments, toothbrushes, video games, mobile phones, pacifiers, skates, racquets... 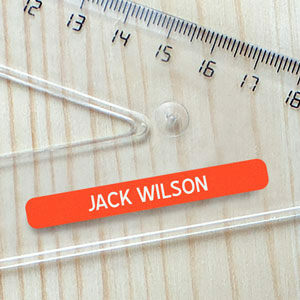 In a nutshell, you can label everything so everything returns home. 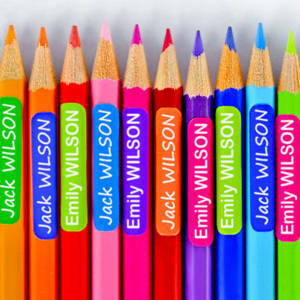 Add the text, choose the colour and icon of your choice and that's all. It is just as simple as it sounds!